This guide will help you how to Push an installation live. You can stage an installation to test the upgrades or the changes before applying it to the main installation and then push the changes by using the push to live feature. NOTE : Push to live functionality is available only for a few scripts at the moment. We will be adding it to more scripts soon. NOTE : Push to live is not supported on Softaculous Remote at the moment. 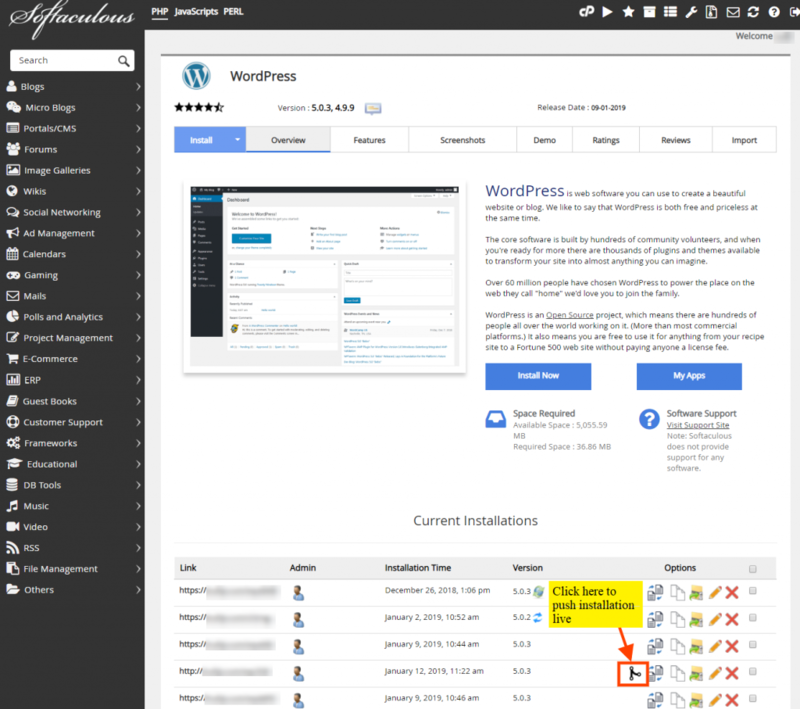 We will be taking an example of a WordPress installation. We will push the installation live after staging of the installation is done. Go to your panel (e.g. cPanel’s url will be https://domain.com:2083) and login with your details. 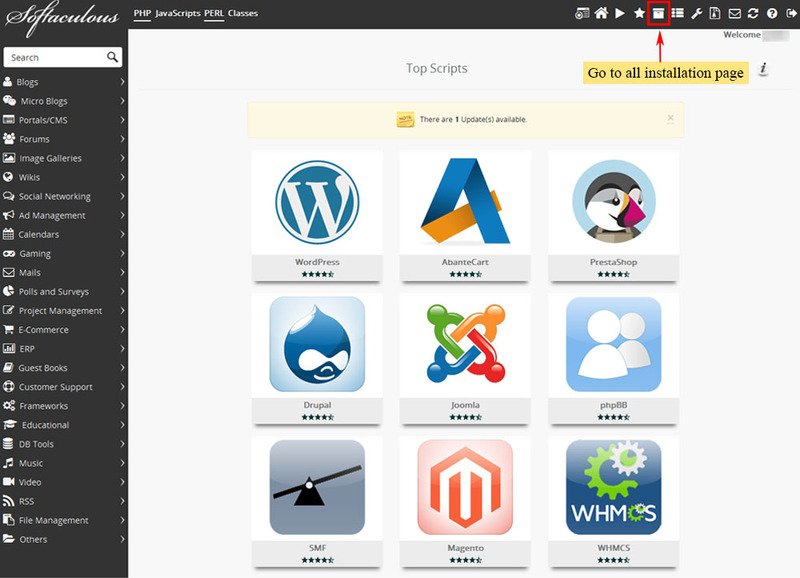 There click on the Softaculous Icon or Link. The Softaculous Enduser Panel will be displayed. Go to all installations page. 2) Choose the installation you want to Push to live. Click on the Push To Live icon next to the installation. The Push to live page will appear with the current installation details. 3) The Push to live page has two options: Default and Customize. You can customize whether you want to overwrite the files, if checked the files will be overwritten in the live site. The push full database option if checked then the full database will be erased and new database will be imported from the live site. Click on the Push to Live button, then your installation will be live. 4) The “Set this installation as live” feature will also push the changes to live thereby removing the push to live icon from the installation. NOTE : You will receive the push to live installation details via email (if the emails are enabled). NOTE : The admin/user account login details will be the same as the source installation.